Portugal, continental Europe’s westernmost country, lies quietly in the shadow of the larger, more boisterous Spain. With a sliver of coastline and an interior that can take you back centuries in time, Portugal in many ways still belongs to an earlier era. People are friendly and courteous, with an almost courtly manner. Family and friends are important, and people know their neighbors and the local shopkeepers. Ancient buildings look worn and lived-in, and quiet, cobbled lanes wind through seaside villages. This is Europe as it used to be. And though modernity is overtaking Portugal quickly, you can still enjoy an old-style, Old-World life here. Though its coast is the Atlantic, Portugal is typically Mediterranean, with the warm weather and lifestyle that you tend to find in Mediterranean countries. The sea, which forms the country’s western border, still plays a strong role in Portuguese life and diet: You’ll find fish and seafood on menus throughout the country. Like countries around the Mediterranean, Portugal also produces good food, wine, and olive oil, at inexpensive prices. Try its slightly fizzy vinho verde or its port, the fortified wine that took its name from Portugal’s second city, Porto. Shop in modern supermarkets, or—as many Portuguese do—in the traditional markets found in cities throughout the country. 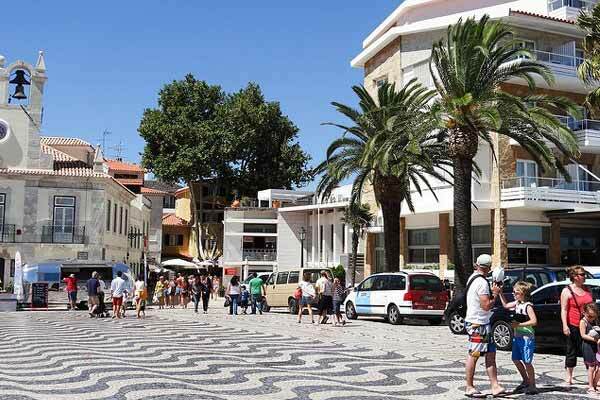 Overall, Portugal is arguably Western Europe’s most affordable country. 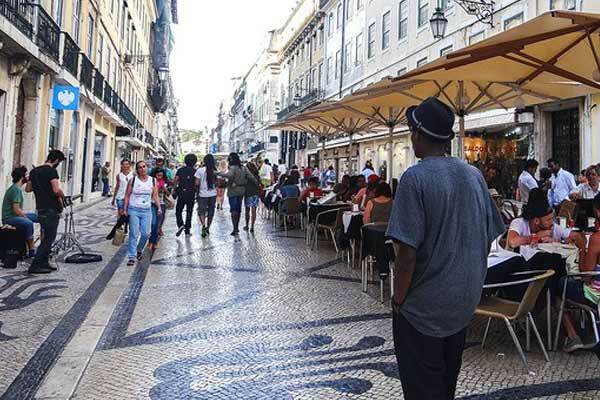 Even in the capital, Lisbon—one of Europe’s most charming and underrated cities—a couple can live comfortably from about $2,200 a month in residential neighborhoods just a half-hour’s walk from Lisbon’s central, most tourist-driven areas. (And you’ll leave the tourists behind.) In Portugal’s smaller cities and in the country’s interior, a couple’s budget can run from $1,700 a month. Enjoy all this…and yet have First-World amenities at hand, including road and highway systems, good telecommunications and high-speed internet, museums and concert halls, chic restaurants, cafés, bars, and much more. Portugal has extensive bus and metro services in cities like Lisbon and Porto. Long distance bus and train services carry you throughout Portugal and beyond, so you don’t need a car here. And modern airports can take you throughout Europe. “No legacy is so rich as honesty,” wrote William Shakespeare. I agree. So I’m going to be straight with you. What’s the real story on Portugal? Is it as great as people say? Does the sun shine every day? Is it safe? 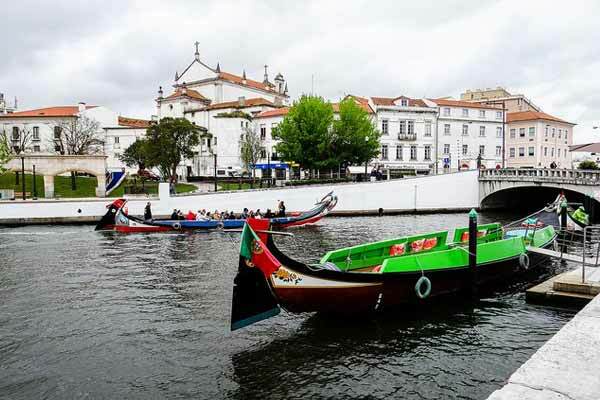 I’ve lived in Portugal for six years, in the north near Braga, the central region outside of the university town of Coimbra, and close to the capital of Lisbon. Here’s what I’ve learned. Pros: Portugal’s climate is a warm, temperate, moist, forest climate with wet winters and dry summers. The average temperature is 71.6 F. You can drive this compact country from north to south in about five and a half hours. A road trip from west to east, from Lisbon to the Spanish border, takes less than half that time. Obviously there’s not a great variation in climate. Lisbon is popular with tourists not only because of its cultural offerings, cafés, restaurants, and physical beauty, but also its weather. Winter months bring about 10 days of rain and daytime temperatures of 50 F or higher, while in the summertime, wet days average from none to one or two, and the mercury hovers around 85 F.
Cons: In the north, winter means rain about half the time, and temperatures run about 10 degrees cooler year-round than farther south. Shorelines can be extremely windy. When we lived in Esposende, we were painfully aware of why it’s a kite-surfing mecca. Same applies going down the coast, to the surfing destination of Nazaré, where a record was recently set with a 100-foot wave. Farther south, when we lived northwest of Lisbon and six miles from the beach, we needed a back-up plan when entertaining outdoors. Gusts would carry paper plates, plastic cups, and the occasional small dog upward in true Wizard of Oz fashion. Earthquakes. More common on the islands of the Azores, they do occasionally occur on the mainland. The Great Quake of 1755 devastated Lisbon, of course. But if you’ve lived in Southern California as I have, most likely you won’t find it an area of concern. Pros: Expats typically find their expenses in Portugal run about one-third of what they were in the States. While the exchange rate is not as favorable as it was when we first moved here, we still live a comfortable, although not extravagant, lifestyle for about $2,500 a month. 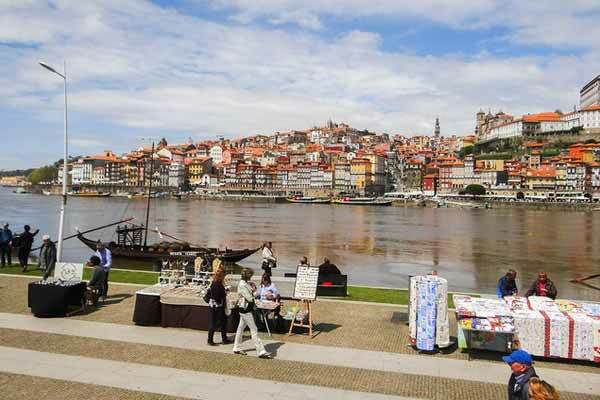 If you choose to live in Porto in the north, Lisbon, or in the expat havens of Cascais or the Algarve, you probably want to bump that up to $3,000. You can, however, keep that lower figure simply by moving 20 minutes away from a city center. Enjoy urban amenities, then head back to the ‘burbs and lower rent. Cons: Electricity, gasoline, automobiles, and large appliances like washers and dryers are more expensive here than in the U.S. Tolls on the autostrada add up, too. Pros: The Global Peace Index rates 163 nations and has named Portugal the third safest country in the world. Gun ownership is permitted only for hunters and sportsman, not for personal protection. The locals are peaceable people who seek to avoid conflict and just live their lives with family and friends. And eat fish and drink wine, of course. Cons: Petty crimes of opportunity, mostly in large cities, exist everywhere. Portugal is no exception. Pros: Professional, public, and private healthcare is available in clinics and hospitals throughout Portugal. Private insurance averages $46 per person monthly. We pay $40 a year per person for insurance entitling us to half-price doctor visits, and either use public healthcare or pay discounted prices in the private system. Cost per person for catastrophic insurance is $90 per month. Cons: Scheduled for surgery in the public system? Be prepared to wait for months for availability. Proximity to the U. S.
Pros: Portugal offers three international airports servicing many airlines. Plan ahead and you could snare a nonstop, seven-hour, roundtrip economy fare from JFK to Lisbon for less than $700. Cons: Everyone wants to visit. If they’re coming from any distance they’ll want to stay long enough to make the trip worthwhile, so be prepared. Also, have varied tourist itineraries under your belt so you don’t begin to feel you’re a resident of all the palaces and castles you’ll invariably be showing them. Pros: With half the country coastline, there’s ample opportunity to enjoy surfing, snorkeling, boating, wind-surfing, and more. Landlubbers may opt for golf, tennis, horseback riding, hiking, and biking, or exploring Roman ruins. Not so much for the outdoors? 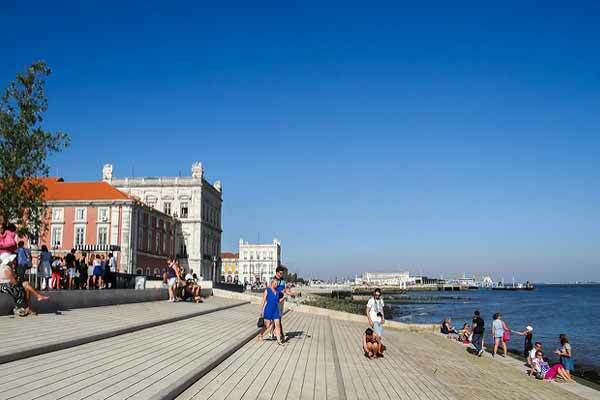 Head to the country’s marvelous museums, like the Tile Museum in Lisbon, or go shopping on the pedestrian walkway, Rua Catarina, in Porto, and quaff a beverage at the Belle Époque Café Majestic. Cons: Let me think… Sorry, nothing comes to mind. 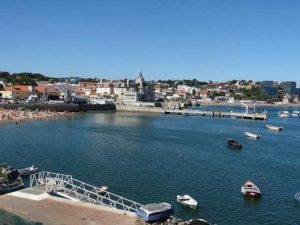 Surprisingly enough, it wasn’t just the sea and the beach that made me fall in love with this coastal Portuguese town. Cascais has a lot more to offer than just beautiful scenery and a laidback atmosphere.